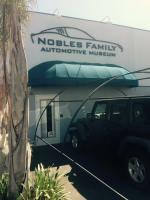 A visit to the Nobles Family Automotive Museum. FOC Northern California Region hosts Prancing Horse parties to enjoy time with friends and bring Ferrari community together. The event went off without a hitch and was enjoyed by 15 Ferrari drivers and their passengers, ending at the Santa Monica Flying Museum. Highlights from Mikee's 17th annual Summer Run. A ride-and-drive in the Angeles Crest mountains. Food, fun, and prizes, what a great night!!! What a great day for a fall drive. Take a look! 12 Cars, 8 Ferrari's, and a whole lot of FUN! Jerry Wiersma put on his second annual Wings and Wheels Car Show in conjunction with the Muskegon Air Show. Mikee's 9th annual Summer Run from Calabasas to Malibu, then up to the National Guard base in Point Magu.